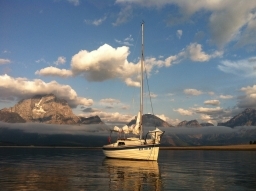 We bought the boat in the fall of 2009 from Ken Sund in Windsor, California. I think he used it on Tamales Bay. It also seems to have been moored for a while. We don't know the history of the boat before that but would be very interested to learn!